I often felt I would never get out of debt. I considered bankruptcy. After paying for things four times over I considered writing my creditors and telling them I was not paying anymore and they could just send me to jail if they wanted. I considered changing my identity and moving to New Zealand to start a new debt free life, but my credit cards were all maxed out and I couldn’t get a ticket. I literally had no money, as all the money I possessed I owed to other people. Instead of saving or paying anything forward all I was doing was paying things back. I was living a lie as the money I had wasn’t really mine. I was desperate. Then I read that God creates miracles to help people repay their debts. I was praying for a miracle. My parents had instilled in me the importance of returning my tithe, and I continued tithing even though even the money I was tithing was not my own. Or at least it was not returning the first fruits as my entire paycheck had already been spent before I even earned it. I forgave all my debtors hoping some of my debts would be forgiven as well. I greatly curbed my spending and as much as I could stopped using my credit cards. Then after over 20 years of credit card debt the miracle came. I started 2015 with $10,000.00 in credit card debt. I was working for the Tampa First Seventh-day Adventist Church as I had been for the last eleven years. They had been paying me a very decent salary (More than any of my other Bible Worker friends) and it would have been even better had I not been in debt. After eleven years the church could no longer handle the burden of my salary and benefits. They informed me I would be let go the last of April. Little did I know this was the beginning of the miracle that would get me out of debt! 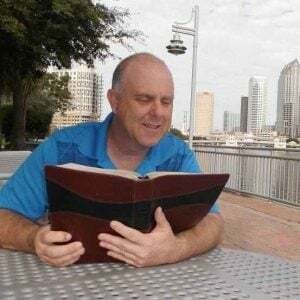 The church gave me plenty of warning, so before my last day at Tampa First I had plenty of time to set up my own ministry through the Plant City SDA Church, where I would continue doing Bible Work in the Tampa Bay area and beyond, based solely on contributions from people supporting my ministry. I also got a part time job at Florida Hospital. Here God was already performing miracles. I have heard of people losing their jobs and going months without a paycheck. Well I don’t know why God was so good to me, but I actually received paychecks from my new jobs before I received my last paycheck from Tampa First! Also Tampa First gave me a very generous severance check. After tithing I used a portion of the severance check to help a friend pay off their child’s church school bill. The rest I applied to my credit card debt. A golf buddy called and needed my help on the side with his property management company. I was inspecting property, and as well as making a few extra dollars, I was given a car which he also let me use to get to my Bible studies. I wasn’t golfing anymore as I was enjoying my new regular Bible Worker ministry with two side jobs. Remember I entered 2015 with $10,000.00 in credit card debt? Well on the day before Thanksgiving that year, I paid off my last credit card, and woke up Thanksgiving morning with a zero balance on all my credit cards. What a Thanksgiving! It was truly a miracle that began with me losing my job, I lost my job and turned around and paid off all my credit cards! Of course I could not keep up with two side jobs and my regular Bible Worker ministry, but God provided them long enough to get me out of debt. I must share a miracle that happened the following year. My mother was dying and I needed to make an emergency flight home which was very expensive, plus I would be missing work. I prayed and told God I did not want to go into debt again but needed to be there for my family. I told God I was going to be faithful to my family whatever the consequences. I shared a simple message on Facebook that I was going home because my mother was dying. I wrote and implied nothing more. That evening a Facebook friend from Texas messaged me she was sending me a monetary gift. That gift paid for my emergency plane tickets both ways. It covered my time off work. It helped pay my share of funeral expenses with some left over which I put into savings! I now only have one credit card which I transfer money from my bank to pay off as soon as the transactions are made. I don’t wait till the end of the month. I love seeing that zero balance on my card all month long! I am careful with my money. I don’t feel inferior to people who have more money than me. I don’t have any problems saying I don’t have the money to do something. It is not embarrassing to me. I am very thankful for the miracle God provided to get me out of credit card debt. Now when I return tithe and offerings it is actually my first fruits. It is actually my money that I earned from that very paycheck. Remember in my last article how I shared how cool I thought it was that my dad could just spontaneously buy a new softball glove? Well a few months ago my car up and died. I was not expecting that. It turned out to be my battery. A friend jumped my car and I went to an auto parts store where I bought and had a new battery installed. I paid cash. Instead of being upset that I had an unexpected repair bill, I drove away from the parts store, feeling pretty good. A spontaneous bill already paid for! Thank you Jesus! You may study this quarter’s SS lessons on Stewardship here.